Today is cold and rainy in Los Angeles, a rare day. 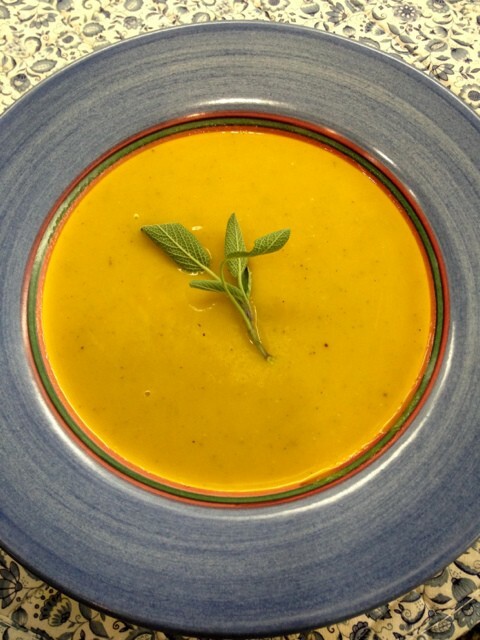 I want to make a butternut squash soup recipe that I made once before. This soup is spiced, warm, and comforting. The nutmeg and sage in the soup just say winter to me. It’s the kind of soup I want to eat curled up in front of the fireplace. I need to take advantage of this kind of weather while I can in season-less Los Angeles. The problem is I cannot find my recipe. 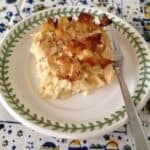 I originally found similar recipes on Epicurious.com, but that won’t help me now because I combined recipes into a new one. I scrawled my version on a scratch piece of paper which is now missing. I think my husband must have moved around one of my many notorious paper piles. I am frustrated because I am so in the mood for this soup. 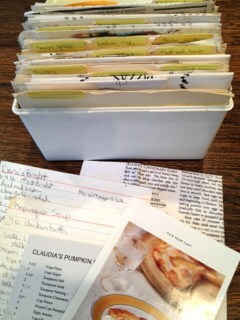 The over-crowded recipe file box that I have had for decades. My missing butternut squash soup recipe is the last straw. I decide I need an organizational makeover for my recipe storage. Currently, I have a large, unruly paper pile of recipes on scrap paper and printouts from the Internet. My file box of old family recipes is full. My book shelf is overflowing with cookbooks. This is the age of information overload, or in my case, overflow. I come up with two electronic solutions. 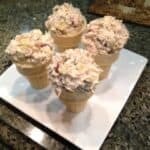 Secondly, I plan to put all my best family recipes and my original creations on this blog. Another solution would be to type my favorite recipes on my computer. 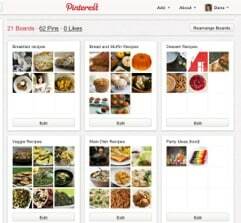 Please let me know how you like to organize your recipes in the comment section. I am happy that I eventually found my butternut squash soup recipe. It was worth the hunt. The whole family enjoyed this soup on a rare rainy day. The soup is surprisingly light. If you use the blender on high, the soup has an somewhat airy, whipped consistency. The apple adds sweetness, and the carmelized vegetables add depth of flavor to the soup. 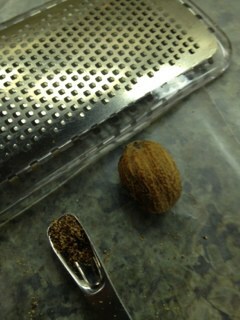 I lived many decades before I was brave enough to buy whole nutmeg. Don't be intimidated like I was. Grating nutmeg is quick, easy and makes a big flavor difference. 1. Rinse a whole butternut squash and cut in half lengthwise with a large knife. Scoop out and discard seeds. Place the two halves cut side down in a microwaveable baking dish. Add water and cover. Microwave on high for 8 minutes or until flesh is soft when pierced with a fork. Use caution as dish and squash will be very hot. Let cool. Scoop out flesh, place flesh in a blender, and set aside. Discard outer skin. 2. In the meanwhile, sauté the onion and celery in olive oil in a medium-sized pot on a medium-low to medium flame for about 15 minutes, or until tender. Stir periodically. Add the apple and sauté for about 5 minutes more. Then add the sage and sauté for an additional 5 minutes. 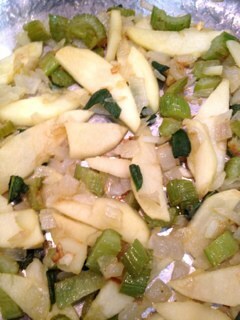 Turn off the flame when the apple is soft and the onions and celery are lightly carmelized. Let cool, then add mixture to the blender. Set the empty pot aside. 3. Next add the broth to the blender, and place the lid on. If making a double recipe, run the blender in two batches. Do not run the blender yet if your ingredients are hot. Turn the blender on medium for about 30 seconds, then run the blender on high for at least 30 seconds and until soup is smooth and well blended. 4. Wipe out the pot, and return the blended soup to the pot. Add the nutmeg, salt, and pepper and combine. 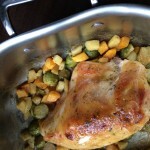 Use my seasoning measurements as a guide, but season to your palate. Warm and serve or refrigerate to serve later. Flavors meld and intensify when served the next day. Serve with a generous sprinkle of croutons. Hello Dana, I can taste the soup just from reading your recipe and I can tell it’s delicious. 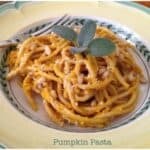 In the area around Lucca, Italy, where I live, we use zucca (various varieties of yellow to orange flesh squash) in lots of ways, but one of my favourites is as a stuffing for ravioli. It’s flavoured with nutmeg too. Sage lightly stewed in butter is poured over as the sauce. If flavours go well together, everyone discovers them. Heather, thank you for your comments. Please put that ravioli dish at the top of the list for when I get to Italy. i have always liked adding apples to my soups, it adds such a natural sweetness to it, not to mention the extra nutrients! your soup is beautiful, reminds me of a bright but cold october sunday, perfect to tuck into with a lap blanket and good book in hand. Good luck! It’s kind of a fun project to figure this stuff out. 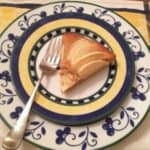 Elina, thank you for visiting my blog and sharing organizational ideas. Happy cooking! just made your soup last night- it was lovely. thanks so much for the recipe, it was just the thing on a cold night. returning from a long business trip to a mostly empty refrigerator (save a lucky butternut squash) almost kept me out of the kitchen but this was easy and quick to pull together with few ingredients. i added a shallot and some cloves of garlic. the leftovers today were even better!